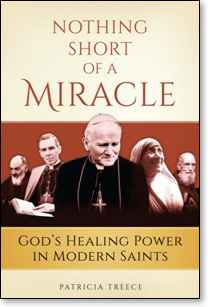 In light of the upcoming canonizations of Popes John XXIII and John Paul II, I offer the following excerpt from the book Nothing Short of a Miracle: God's Healing Power in Modern Saints, by Patricia Treece. The excerpt details the miraculous healing of Sr. Marie Simon-Pierre Normand through the intercession of Blessed John Paul II. You'll read vivid but sober accounts of the lives and of the miracles wrought by some of the greatest 19th and 20th century saints of all, with details of a host of authenticated healings by André Bessette, John Bosco, Frances Cabrini, Solanus Casey, John Paul II, Padre Pio, Elizabeth Seton, Francis Xavier Seelos, Fulton Sheen, Mother Teresa, and other good men and women blessed by God. The healings documented here are not hasty judgments made by gullible, overwrought believers; they're instantaneous, complete, and permanent cures for which scientific medicine still has no explanations – cures that also meet the Vatican's stringent seven-part test of authenticity. 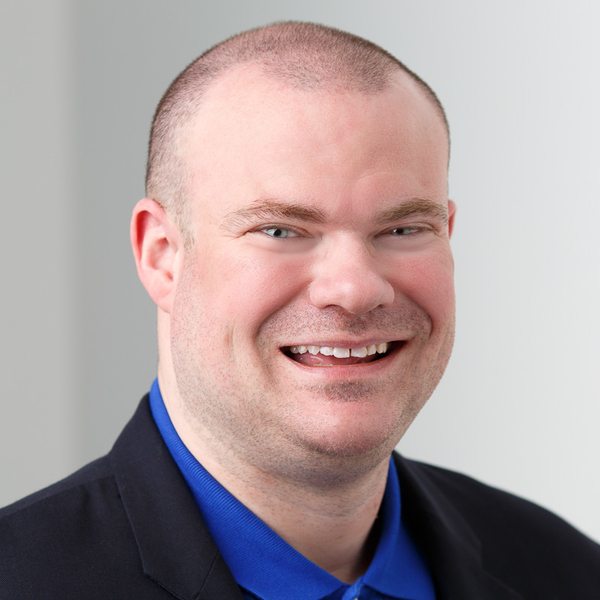 Thanks to Charlie McCarthy, president of Sophia Institute Press, for allowing me to publish this excerpt in my column. Click here to order a copy of Nothing Short of a Miracle. Moments after Pope John Paul II's death on April 2, 2005, the chant "Santo subito! Santo subito!" ["Sainthood now!"] begins from the sad, but somehow exhilarated, crowd in St. Peter's Square. Through all the events that are part of burying a pope, it continues. In response, as soon as he succeeds the pope many are calling John Paul the Great, Benedict XVI – who knows his predecessor's holiness up close and personal – waives the five-year waiting period for starting any saint-making process. Through all this, in the south of France Sr. Marie Simon-Pierre Normand's struggle with Parkinson's, the disease John Paul II had, is not going well. For some time before his death – close as she felt in prayer to one who could understand – watching him on television had gotten too hard. "I saw myself," she would later remember, "my own future." And that future looked like disabled, immobilized, confined in a wheelchair . . . The start of her battle lay in the recent past. Not that long ago she had been a bustling maternity and neonatal nurse described as "full of life" and "dynamic" – one who brought her patients a room-lighting smile. That light had already gone out, extinguished by rigid facial muscles on her left side. Yet it had been only four years earlier when doctors had finally pinpointed the reason for the forty-year-old nurse's ever-increasing exhaustion and the pain throughout her body. Because she had been ever more tired for years, she was told she may easily have had the debilitating, degenerative, and incurable disease of the nervous system for a decade. When Parkinson's hits an individual who is sixty or seventy, the disease often moves slowly. Sr. Simon-Pierre was probably already ill in her early thirties. In younger people, Parkinson's can move very fast. After diagnosis, she did her best to carry on her work in the maternity birthing ward, including her second, neonatal, specialty, care of newborns, often premature births, born ill or disabled in some way. Their moms – and indeed, families – needed extra support she gladly gave. But before the pope died, tremors causing trouble controlling her hand movements forced her to give up handling fragile newborns for off-the- floor work in administration. To add to her distress, although she was exhausted, sleeping was becoming increasingly difficult. Pope Benedict's waiver to open the Cause became official on May 13. Immediately Sister's community, the Congregation of the Little Sisters of Catholic Motherhood, united in asking John Paul II to get God to work a miracle for Sr. Marie Simon-Pierre. Nurses like her were just too needed to let her work be stolen by Parkinson's. Women of faith as well as of medicine, they prayed fervently with "strong hope." Even their one foreign mission in Senegal, Africa, joined in. As if thumbing the papal nose at the little French community, rather than a cure, Sr. Marie Simon-Pierre's condition at once deteriorated markedly. June 1, the two-month anniversary of John Paul's death, she could no longer go on. The pain was unbearable. It was a struggle to even stand. Walking, kneeling, and driving a car were terribly difficult, all hampered like face, hand, arm, and other parts on her left side by stiffening as the muscles hardened. She was left-handed, and the entire left arm now hung as if lifeless at her side. So far using a computer had helped. But now the tremors in her medically "better" right hand were so severe that writing – necessary for any professional healthcare position, even administration – was becoming impossible. Sr. Simon-Pierre didn't want to show what her handwriting had become. it was only after being asked three times that – a woman who could no longer hold a utensil – she got hold of a pen and wrote the pope's name with her tremulous hand: the scrawl was far (there is a photo) from her once-clear handwriting. A graphologist would later describe it as the writing of someone near death. As she looked at the paper, it hit Sr. Thomas just how bad Sr. Simon-Pierre's condition had become. They looked at each other and then simply sat silently for a time praying. Sr. Thomas recalls, "I remember praying and thinking at this moment that we had tried everything [medically] and that we had reached the end. 'Lord, the only thing left is a miracle!' That's how expressed my thoughts . . ."
But Sr. Simon-Pierre, surprisingly, had good news to share too. Reticent in interviews about her interior life, she has publicly admitted this much: during her illness, in spite of her desire to do God's will and live as a woman of faith, she struggled with anxiety, even terror, and fear of burdening her community, while her superior noted that her sense of self-worth was also under siege, as Parkinson's seemingly inexorable march rolled over her body like a tank. But on this day, both women confirm, Sr. Simon-Pierre told Sr. Thomas that, even as her body was tumbling headlong into this pit of deterioration, she had received a healing. She had been enabled to look squarely at the dreaded picture of herself in a wheelchair – one of the disabled rather than someone who helps them – and to accept this as, apparently, God's will for her. She knew now she could carry this cross with peace, as John Paul II had done. She even counted blessings: she was not alone; besides Sr. Thomas's support, she had full support from the community; with new hope, she even thought she somehow could nurse from the wheelchair. At any rate, she would always be a Little Sister and somehow she would serve. Today in the position of mother superior of the entire community, Sr. Marie Thomas elaborates: she says she believes the suffering sister's first victory, before any victory of physical healing, was the grace by which Sr. Marie Simon-Pierre "embraced her sickness and did not run away from it." The mother superior explains that disease may evolve and advance, but the person has the capability to recover interiorly. "[Even] the periods of desolation can mysteriously become the beginning of inner joy," affirms the woman whose congregation's work gives her hands-on experience with these things. Before Sr. Marie Simon-Pierre made her laborious way out of the office, her superior found herself saying, "John Paul has not said his last word." She had no idea how true that was about to be! Since May 14, the day after Benedict's waiver and her congregation's beginning special prayers for her, Sr. Marie Simon-Pierre had always interiorly "had with me," like a song that plays over and over in one's head, a verse from John's Gospel: "Believe and you will see the glory of God" (John 11:40).33 That gave her no conscious sense whatsoever she was going to be cured. In fact, at the moment she left the superior's office it seemed the important cure of soul and mind was the healing her community's prayers had obtained for the Parkinson's sufferer. But some hours later alone in her room, somewhere between 9:30 and 9:45 p.m., she relates today, "Something in my heart seemed to say, 'Take up a pen and write.'" She did, writing some Scripture, and, in her words, "The pen skipped across the page." Before her eyes, her handwriting was clear, completely legible, normal. Filled with excitement – still, as is actually not uncommon with those receiving miracles, she did not take in what had happened to her two months to the day and hour after John Paul died of her disease. An event so momentous simply too much to absorb, continuing her routine, she went to bed. But at 4:30 in the morning she woke. First she was in awe that she had actually slept. Mornings with the stiffness and fatigue unconquered by sleep were normally "very difficult" but not this one. She recalls, "I got up fully alive." There was no pain, stiffness, nothing. Even interiorly, she could later say of the moment that she felt "much different." Dressing without trouble, she hurried to Jesus in the tabernacle. Filled with thanksgiving for the changes in her body, she spent an hour or so expressing her gratitude and joy for what she would later describe as "a bit like a rebirth." Then she went to the community chapel and joined her community for Mass. She – who for a long time had not been able to stand steadily enough to do so – volunteered to do the Scripture readings for the daily celebration, proclaiming with gusto. It was only as she received Jesus in the consecrated bread during the Mass, she says in one interview, that she was able to finally absorb beyond a shadow of doubt that she no longer had Parkinson's. Buoyed by the "peace and joy of her Communion," Sr. Simon-Pierre, for whatever reason, still went back to her room as she did each day and took her morning medication. As always, it caused nausea and made eating so difficult that her weight over time had plummeted. At noon, she decided to stop medication and noticed she was eating that meal normally. Next the mother superior reports what to her and the other sisters is a miracle, not to the local bishop, as would be expected, but directly to the postulator of John Paul II's Cause, Monsignor Slawomir Oder. A couple of months later, he actually makes two visits to them in Puyricard, France, the location of their motherhouse and of the facility where Sr. Marie Simon-Pierre has been stationed. Oder asks the local bishop, Archbishop Claude Feidt, head of the Diocese of Aix-en-Province, to investigate. Following standard procedures in such matters, Feidt sets up a special commission under Fr. Luc-Marie Lalanne. Fr. Lalanne's attitude: "The Church has deep respect for science and it . . . [has] to be established that there is no explanation [for the cure] using scientific knowledge." To him purported miracles are "where science and faith [need to] meet." The thorough investigation involves an expert neurologist – not the cured woman's doctor – who sets up the questions that need answers. Those involved include other neurologists, professors of neurology, a neuropsychiatrist, a plain psychiatrist, and even a hand-writing expert, since handwriting is an important gauge of Parkinson's. Theologians and canon lawyers also play a part. It takes a year, during which Sr. Simon-Pierre is probed and prodded, body, mind, and soul. In the end, the verdict is favorable. Sr. Marie Simon-Pierre's cure becomes one of those inexplicable-by-human-efforts, doctor-seconded cures that are being sent by bishops to the postulator. During 2007 Sr. Marie Simon-Pierre, now 46 and working quietly at the order's maternity hospital in Paris, comes into the public eye as a beatification-miracle candidate (this is rare, a new phenomenon as cures being studied are traditionally kept under wraps). Interviewed before TV cameras at a press conference with Archbishop Feidt, she admits willingly, "I am cured. It is the work of God, through the intercession of Pope John Paul II."